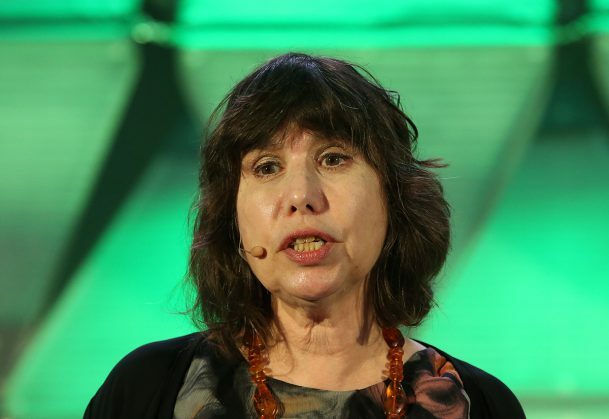 The word “parenting” did not enter the popular lexicon until the 1950s, and when it did, said APS Fellow Alison Gopnik, it added fuel to a goal-centered perspective of how children should be raised that has evolved in the recent decades. “The picture is that there’s something parents can do, some kind of expertise they can acquire, some techniques they can learn, and if they just do the right thing, they’ll end up having the right kinds of children and then these children will become the right kinds of adults,” Gopnik said during her Bring the Family address at the 2016 APS Annual Convention in Chicago. Gopnik, a professor at University of California, Berkeley, and an internationally recognized expert in child development, indicated that the emergence of this strongly goal-centered view of parenting stands in contrast to how children actually have been raised for much of human history. 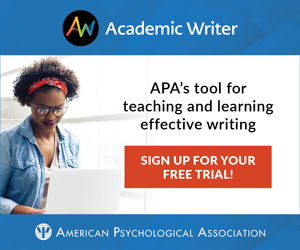 Research provides no evidence that the small variations in parenting approaches have any long-term effects on the children’s outcomes, she said. So does that mean that parents don’t matter? On the contrary, said Gopnik. Numerous psychological studies have provided evidence that parents are needed, just as they have been throughout human history, to “create a safe, nurturing, stable environment.” But in her presentation, “Parents Without Parenting,” she described how the recent development of goal-directed “parenting” may not be ideal based on human adaptation and evolutionary biology research. In fact, caregivers may be designed to ensure more variability and novelty in the next generation rather than to create predictable outcomes. Human offspring have a much longer childhood than any other species, including other primates. Gopnik said that as a result of this longer period of immaturity, parents have been needed throughout history to provide care for their children as well as to protect them from predators and other threats until they are able to fend for themselves. Something else happens during this period of immaturity that makes parents vital, said Gopnik: The brain develops numerous neural connections and builds the cognitive skills needed for adapting to unpredictable and changing environments, varying social contexts, and other challenges that children will face as adults. Although the challenges experienced during the early stages of human civilization differ markedly from those of today, childhood continues to be a time when brain development facilitates a pattern of learning, exploring, and making mistakes while being protected by parents and other adults, Gopnik noted. In contrast to other primate parents, human fathers and mothers are invested in the outcome of their offspring. From an evolutionary perspective, the shared involvement in raising the children was useful in that it provided human offspring with two parents for care and protection during the long period of immaturity, Gopnik said. In addition, Gopnik noted that human parents engage in pair bonding in a manner that differs from our closest primate relatives and most other mammals. She explained that the special relationship between human parents demonstrates a relatively high level of closeness and that humans show a greater degree of monogamy than is found in other primates. A second part of the “triple threat” involves the presence of grandmothers. Only among humans and killer whales do females live for years beyond fertility, Gopnik said. Grandmothers, she notes, have historically played a significant role in raising children, providing an additional resource in the care of human offspring during their long immaturity. The third factor that — again from an evolutionary perspective — may have developed to ensure the survival and growth of human offspring and strengthen their future adaptation was the availability of “alloparents,” or unrelated adults who help raise and care for children. Historically, these were often young women who did not yet have children themselves. The goal-centered view of parenting that emerged during the latter half of the 1900s — a view bent on raising a certain kind of child who attains specific levels of educational and professional excellence as well as of personal interests and characteristics — represents a departure from the way humans have approached childrearing during much of our history, Gopnik said. During most of human history, children were raised not only by their mothers and fathers but also by other family members, including grandparents, aunts, uncles, cousins, and older siblings, Gopnik said. This shared responsibility meant that people learned about being a parent by helping to take care of other people’s children — years before they actually became parents themselves. This method, however, began to change during the 20th century. “For the first time, there were people who had children after spending many years working and/or going to school, but not taking care of kids,” Gopnik said. And these new parents approached raising children with a perspective that reflected how they had spent their lives approaching other unfamiliar tasks and responsibilities: “Get a book, take a course, and things will come out well,” she said. But if the purpose of a long period of immaturity is to allow children to freely explore the world, learn from mistakes, and develop adaptive skills and knowledge, then this goal-centered parenting approach is counterproductive, she suggested. During her presentation, Gopnik described her research showing how children experiment and learn about the world in a way akin to scientists using Bayesian reasoning: They test hypotheses and make inferences based on the data available to them. She presented videos of young children who participated in one of her studies, which used a machine (referred to as a “blicket detector”) that would activate with lights and music when certain combinations of objects (labeled “blickets”) were placed on it. In one experiment, for example, the children had to figure out that two objects activated the detector together, but that neither of the objects activated the machine by itself. Gopnik also presented data indicating that young children performed better than college students in making these kinds of inferences about the way the machine operated. What about inferences based on social situations? Gopnik showed videos of participants in a study that addressed this question. Participants, who were either 4 or 6 years old, looked at pictures showing two dolls, Josie and Sally, engaging in two activities and were asked to explain the dolls’ actions as portrayed in a “person” condition (e.g., Josie would play on a bicycle or trampoline while Sally backed away from those objects) or in a “situation” condition (e.g., both dolls would ride a bicycle but would back away from the trampoline). Participants in both age groups provided more person- or trait-like attributions in the person condition (e.g., “Josie is brave,” “Sally plays it safe”) than in the situation condition. But the 6-year-olds showed an overall bias toward “person” attributions, whereas the younger children in the situation condition pointed to underlying causes (e.g., “the trampoline looks like fun”). Gopnik said findings from these studies indicate that young children demonstrate reasoning skills typically associated with scientists. Seiver, E., Gopnik, A., & Goodman, N. D. (2013). Did she jump because she was the big sister or because the trampoline was safe? Causal inference and the development of social attribution. Child Development, 84, 443–454. Sobel, D. M., Tenenbaum, J. B., & Gopnik A. (2004). Children’s causal inferences from indirect evidence: Backwards blocking and Bayesian reasoning in preschoolers. Cognitive Science, 28, 303–333. I love the idea of being a parent without intervention style parenting. Let the child learn and explore on their own! Thanks for sharing.